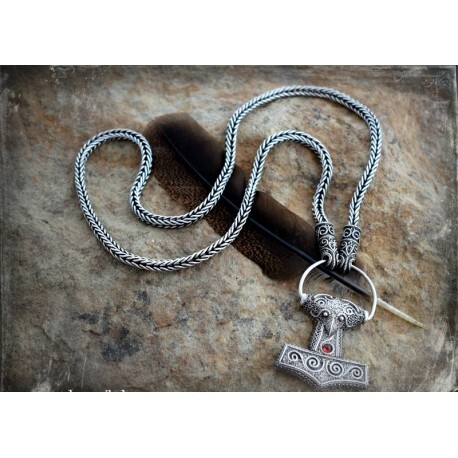 This chain is handmade in technique called "loop in loop technique", used by Vikings in the past. 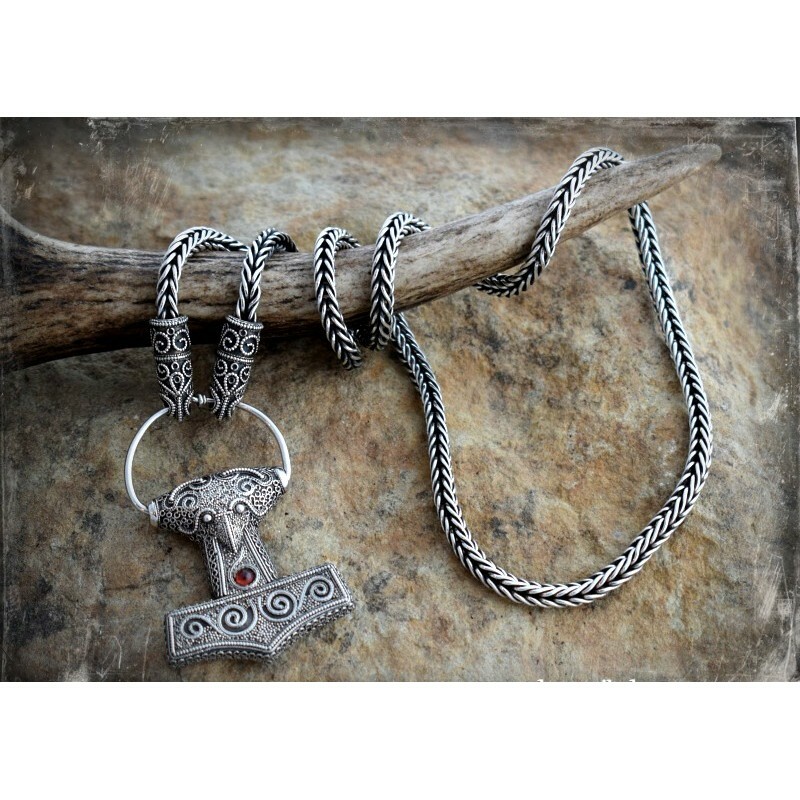 Most of the original finds of chains from Viking period are made in this technique. 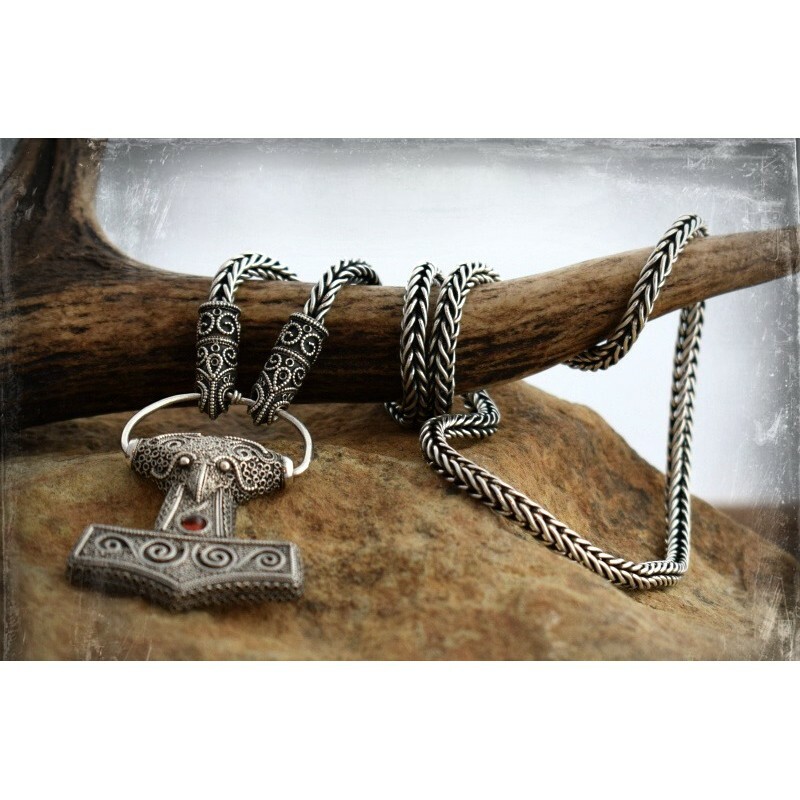 The chain is made of rings, each ring is soldered (so the chain is very solid) and then rings are woven into chain, which moves like a snake. From our observations, chains made in this technique "move" better, are more comfortable, than chains made in so-called Viking knitting technique. This listing is for chain and hook only (without the pendant). To complete a whole set of chain and pendant, please go to pendants section in our shop and add your favourite one to shopping card. Thickness of chain: about 5,5 - 5,8 mm. This listing is only for chain with and hook (connector). Pendant is NOT inluded here : to complete whole set of chain and pendant, please choose a pendant from our offer. Shipping in 14 business days after payment.